These eye-catching drop earrings are sure to get you noticed. 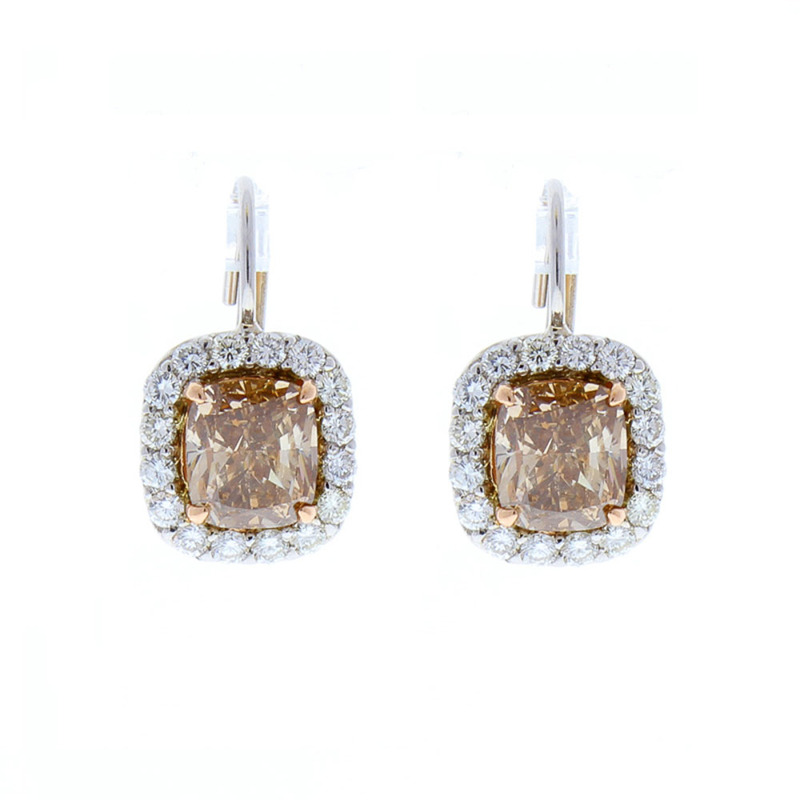 Enduring and elegant, these fashionable earrings feature 3.07 carat total beautiful perfectly matched, natural cushion cut fancy cognac diamonds in the center, surrounded by sparkling diamond halos that together that total 0.68 carat, near colorless and VS clarity. The earrings are skillfully crafted of lasting 14 Karat white gold, meant to dangle just below your earlobe. The contrast is stunning.